Novak Djokovic lived up to his reputation as the 'Djoker' on the men's tour by warming up for Wimbledon by performing a hip-swinging striptease for fans at an exhibition match - albeit rather playfully to his waist. 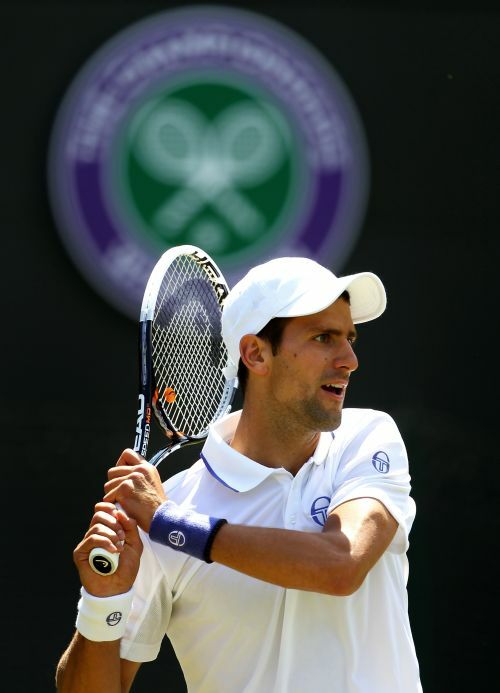 What is in no doubt, though, is that thousands of people will be flocking to Wimbledon next week to watch a more serious Djokovic play as the Serb launches his bid for a second title at the grasscourt major. Lucky to be drawn on the other half of the draw to his 'Big Four' rivals - Roger Federer, Rafa Nadal and Andy Murray - the world number one, dressed in pristine white from neck-to-toe, was in a reflective mood as he sat down for a chat with Reuters. The six-times Grand Slam champion escaped to an underground bunker at the All England Club to say he feels neither lucky nor unlucky to be playing in the golden era of tennis and would most like to have taken on Pete Sampras from the past. This is your ninth time in Wimbledon's main draw. What are you memories of your first ever match, do you remember who you played, which court you played, the score and how many people watched you? I think I played qualifications in Roehampton in 2005, I remember I played five sets in the last round of qualifications against Wesley Moodie. It was a very difficult match but I remember I managed to come into the main draw of Wimbledon for the first time and I won against (Juan) Monaco, and second round I won against (Guillermo) Garcia-Lopez after being two sets down and three match points down and then I lost to (Sebastien) Grosjean in four sets. I got to top 100 for the first time so I remember that tournament very well. I think I played on Court 17, I don't know how many people watched but it's not a very big court ... but I do remember I won (that first match) in straight sets. A lot of players outside the 'Big Four' regret their careers have coincided with this exceptional era, do you feel lucky or unlucky to be playing in this age because in any other era you might have already completed a calendar slam? There is no need to start asking yourself 'what ifs'. From one side you could say that maybe I could have won the calendar Slam or maybe five more Grand Slams if I wasn't in an era with Federer and Nadal. But on the other hand if I wasn't in their era, I don't know if I would be where I am at this moment because with my top two rivals, I've had such a rivalry, such incredible matches over the years that it took my game to another level. The rivalry also made me improve, made me understand what I need to do to get better on and off the court. The game has become extremely physical now, are you at all worried about the long-term damage this will do to your body? Every professional athlete goes through a lot of pain, is concerned and does think about 'what is going to happen to my body when I finish with my career?'. But I am doing everything I can with the people around me to stay healthy, take care of well being Not just about my body but also with what I eat and what I drink, my lifestyle and to decrease stress as much as we can. Stress is one of the worst enemies of human kind and the cause of many diseases. But I see myself continuing to do sport because once you are in professional sport, the body is used to exercise. So if you stop doing exercise and don't do anything for years, your body will respond and send you signals that you need to do something. I guess I will do sport and I'm happy for that because I love sport and have dedicated my whole life to tennis. If you could have played any player from the past, who would it be and why? 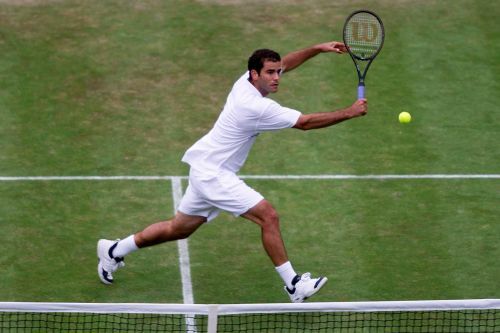 It would be Pete Sampras because he was my idol and somebody I was looking up to when I was young. I never got to play him and I would probably like to play him here at Wimbledon. How do you think you would have matched up against him? He would be a definite favourite because he has won this tournament so many times. 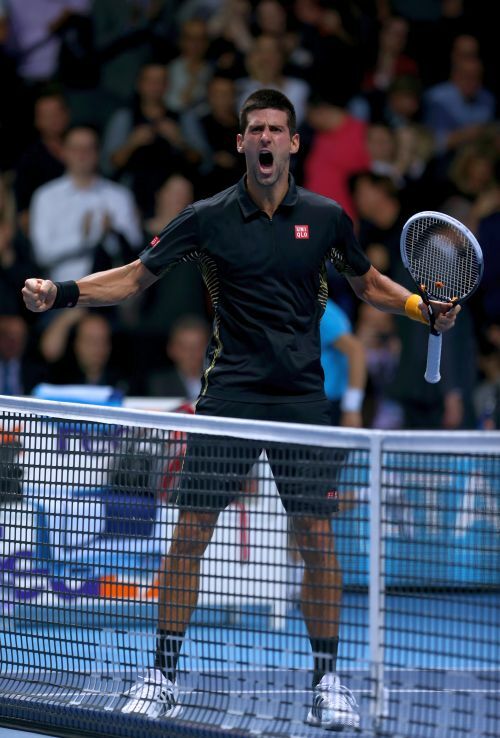 But I would like to play him at all four Grand Slams, that would have been very interesting to see." There has been a lot of negative sports stories around in 2013, like Lance Armstrong's drug confession, match-fixing in soccer, the doping trial in Spain. Do you feel all these stories have only harmed the sports concerned or is all sport paying a price? In a way yes. Media influence is so strong now that any story that makes the headlines has a huge reach globally. Many people obviously get that wrong message about certain sports because of those cases you have just mentioned and that is something we definitely don't want. In tennis we don't want illegal things, we don't want players betting, we don't want players failing doping tests. Compared to other sports, tennis is still in a very good place, especially men's tennis. It has a great competition, has a great era of fantastic champions who are great promoters and ambassadors of our sport. We all have this responsibility of keeping this clean image of the sport. Of course you can't always guarantee what other players will do but we are very much aware of this responsibility that we carry. 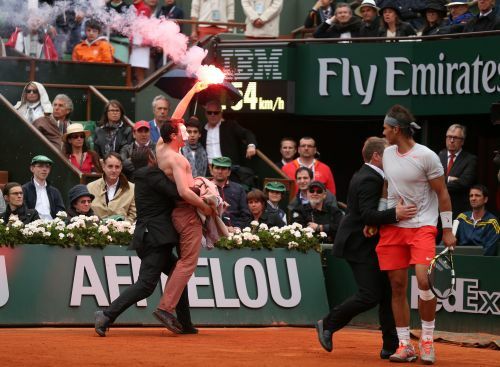 During the French Open final there was the incident with the flare-waving protester who jumped on court during the final between Nadal and David Ferrer. Do you think tournaments are doing enough to safeguard the players on court or do you feel vulnerable each time you go on court? It doesn't happen too often but it does happen once in a while. The security nowadays is very strict so I don't see anything really bad happening particularly to a tennis player. 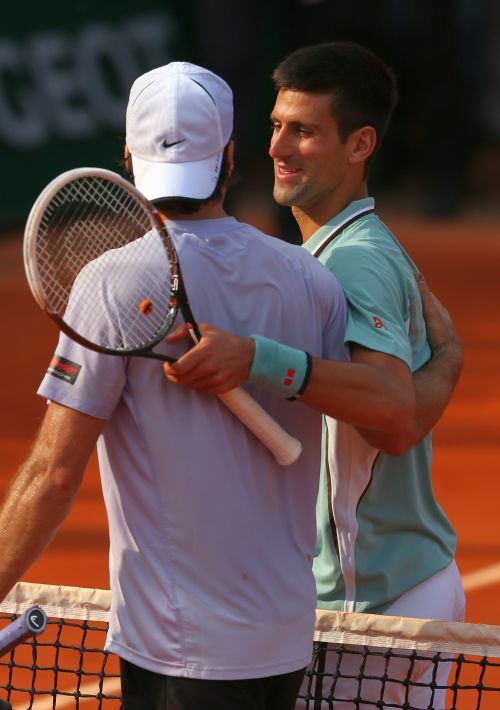 What happened in Roland Garros was maybe a mistake of the security that was on the court but generally, if you look at it worldwide, it's really good and players feel safe. I feel safe. Frankly if you start thinking that your life is in danger from somebody or something, you start becoming paranoid. You don't need these kind of things. You were criticised by some of your peers after retiring from your quarter-final match at the Australian Open in 2009 when you were the defending champion. How satisfied are you to have silenced those critics who had questioned your fitness four years ago? My motivation was not to silence them or to get any kind of revenge because I don't seek that. 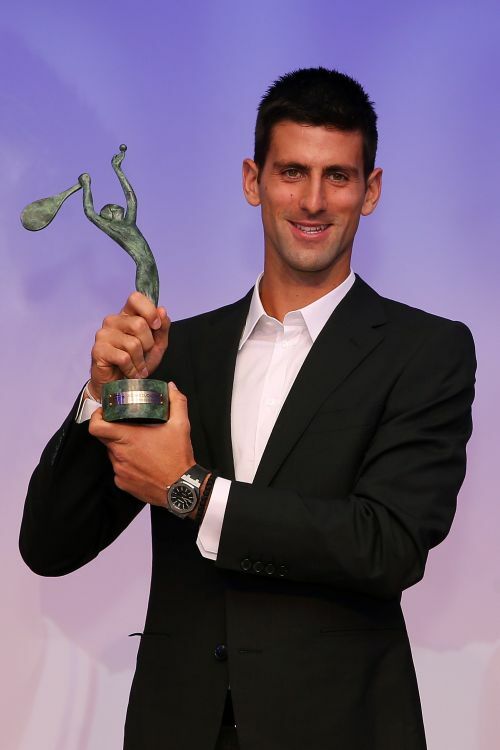 I was looking forward to really understand what I need to do in order to improve as a tennis player and as a person. Also (I wanted) to improve my health, to get it to the best possible condition where I can consistently play well and recover and be able to play the whole year without getting injured or having the breathing problems that kind of followed me from the early stages of my career. I managed to do that with certain adjustments and diet changes. Now I feel really good, I haven't been injured very much in my career which is a very encouraging fact for the future. Since you've changed to a gluten-free diet, what do you miss eating? "Ha ha, there are certain products that I am missing eating from Serbia. There is a product called 'plasma', it's like a biscuit that contains gluten that I grew up on. That's something that I miss very much. But look, it's for my own good and I know that. I know how well I feel on the court and in life in general. Wimbledon looked very different during the Olympics last year. 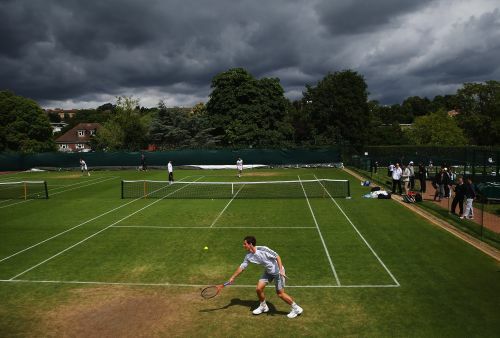 Do you think there is anything from the Olympics that Wimbledon should adopt permanently? I think the colours were very interesting to see in Wimbledon. We respect the tradition here in playing in all white and it's a very conservative environment. But the Olympics Games was something different and (made Wimbledon) very urban. Colours all around, players coming out with tracksuits of the colours of their countries. You saw purple backgrounds to the courts, it was interesting. When you are in London, have you ever had the chance to do touristy things? Well I've been on the underground but it was a long time ago, maybe the first, second time when I came to London. Since then it's only been in the car. I love parks, so I try to avoid places where there are too many people because I need to save my energy for the tournament. I love visiting parks, Wimbledon Park, Richmond Park, those kind of parks are incredible and London has plenty of it. Will Murray stamp his class in tennis' 'golden era'?